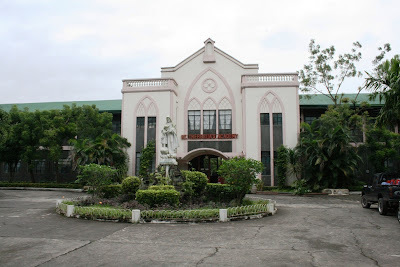 The Missioneras Siervas de San Jose came to the Philippines in May 1932 and established themselves in San Jose, Antique. 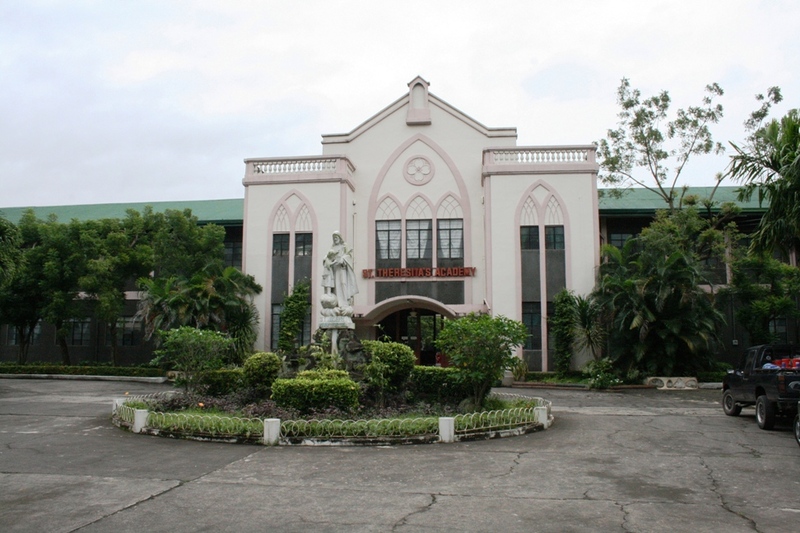 In 1933, they moved to Silay, where they established the only private, Catholic secondary school in the city to this day. 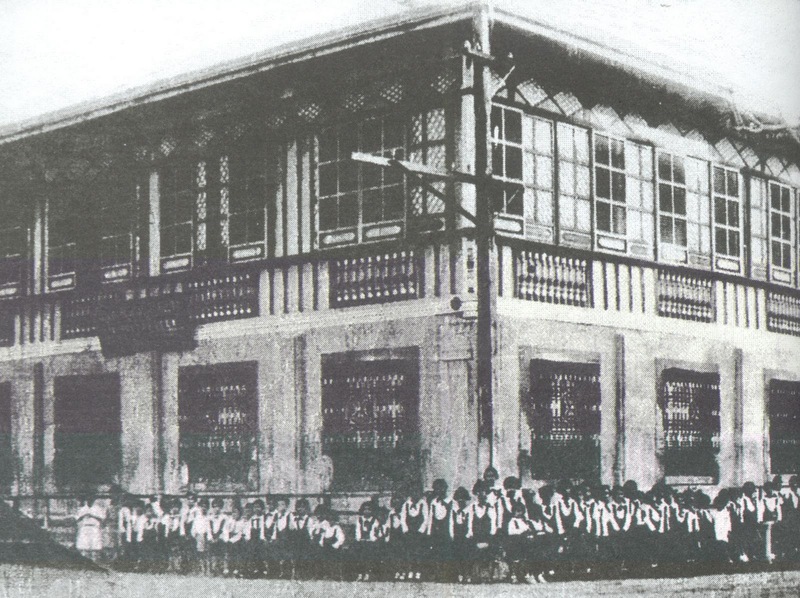 The name of the school was adopted from the original name of the parochial school in the city, calling itself Colegio de Sta. Teresita however this was later anglicized to St. Theresita's Academy, more popularly known by its acronym, STA. Initially the school was established in a house rented from Don Jose "Pepe" R. Ledesma on June 13, 1933 with pioneer sisters Mother Amancia Bautista, Milagros Sarmiento, Anunciation Marco and Olivio Moreno as teachers. 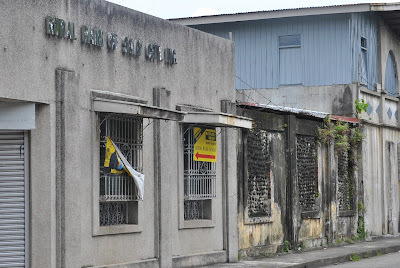 This area is now the Rural Bank of Silay City, owned by the descendants of Don Pepe. Part of the original wall of the building and the grills are still intact as you can see in the second picture below. In 1950, the school transferred to it's present location in Rizal Street offering educational services for pre-school, primary and secondary pupils. The High School department was for female students only, until 1984 when they started accepting boys in the secondary level. Seventy eight years after the sisters arrived, a lot has changed. Once upon a time we called them Mothers (I was told that this was their title when they become professed nuns)...now-a-days they no longer use that title and are all referred to as Sisters regardless of rank. They used to have internas...usually children of well-off families from the southern and northern part of the province who found it difficult to travel to and from school everyday. Spanish was a major subject taught daily from kindergarten to high school. It was even one of the academic awards a student can get at the end of the year. I can still sing the Spanish nursery rhyme Niña Bonita taught by Mo. Magdalena Braganza, my pre-school teacher who is turning 90 in November, retired and yes, is on Facebook :) Today Spanish is no longer taught. Work Education is now HELE and unlike before when we were required to make samplers of stitches, now-a-days it's all about computers. Yes, a lot has changed...even the name of the congregation has evolved...from MSSJ to SSJ. But all these changes have not altered the school's mission of providing integral education to its students using the Holy Family as a model teaching the Nazareth values of austerity, humility, simplicity and charity. I would like to believe that majority of the graduates of STA continue to live these values in their lives. I know I do. The SSJ and STA have every reason to celebrate this year. Their foundress, Blessed Bonifacia Rodriguez Castro will be elevated to the register of Saints on October 23, 2011. Gracias a Dios por esta bendición!